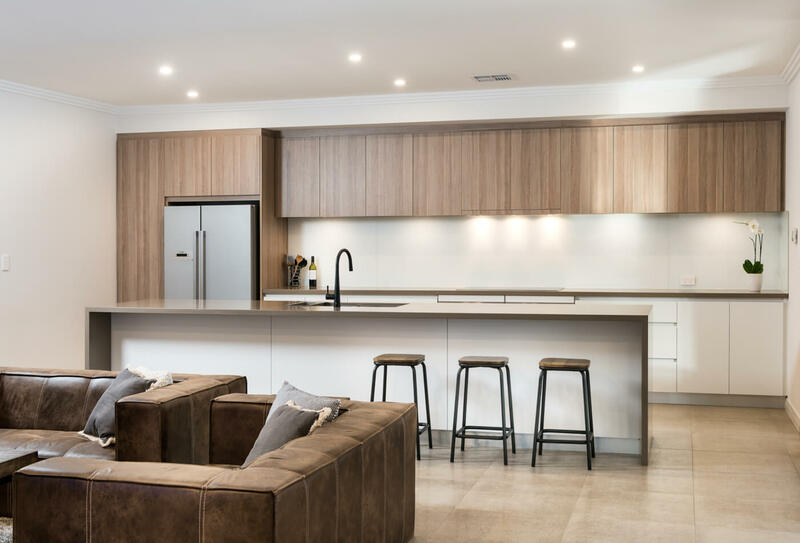 Decorated in neutral tones, this airy modern residence was built for a family that loves entertaining. With two fully featured kitchens and an innovative poolside bar design, this is a home where it always feels like you're on holiday. 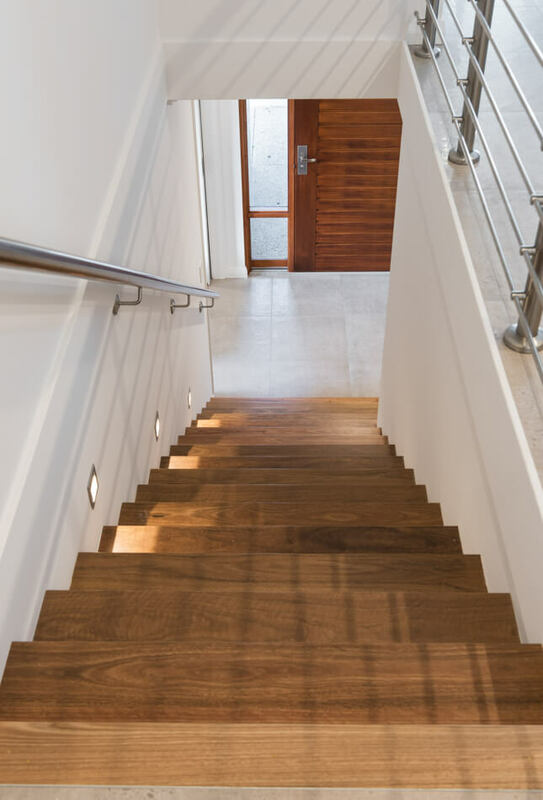 Why not give us a call and let our custom builders help design your dream home too. 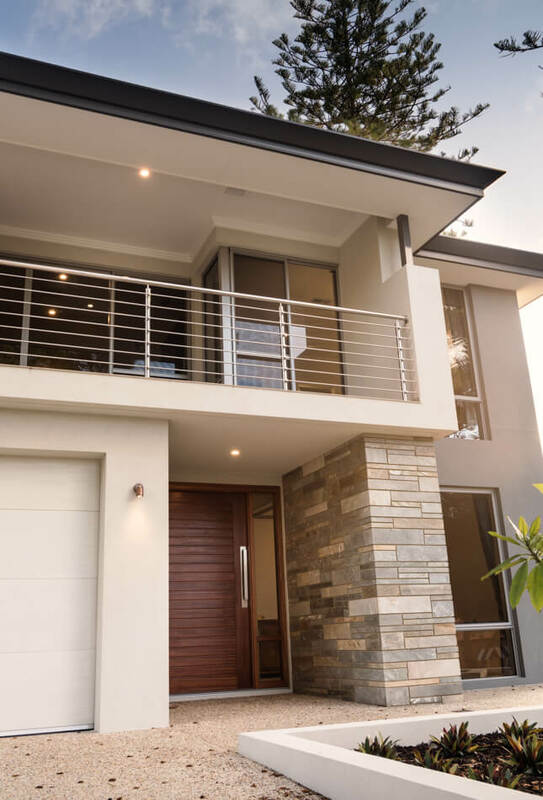 An elegant modern elevation with a wide balcony and feature stone cladding. 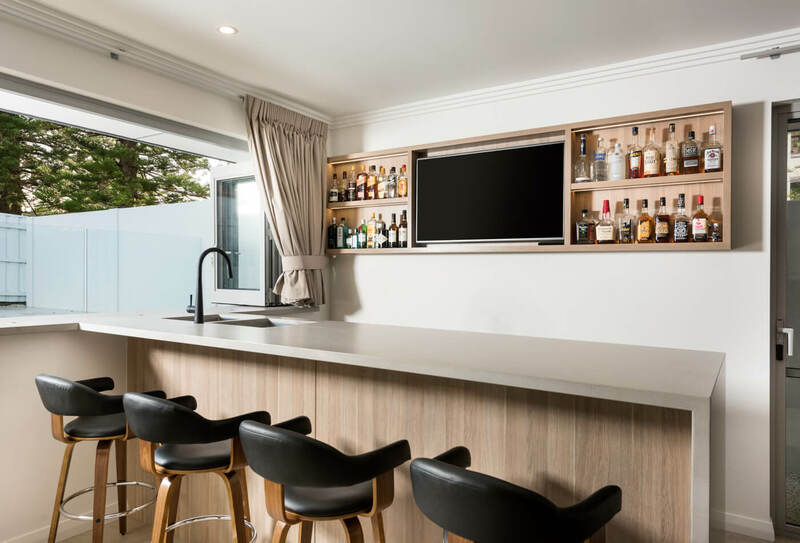 With a love for entertaining, the owners decided to include a modern and inviting bar area. We created a bar with bifold servery windows and custom cabinet to house a TV and liquors. Large open-plan living area designed around a gourmet kitchen with plenty of bench space. 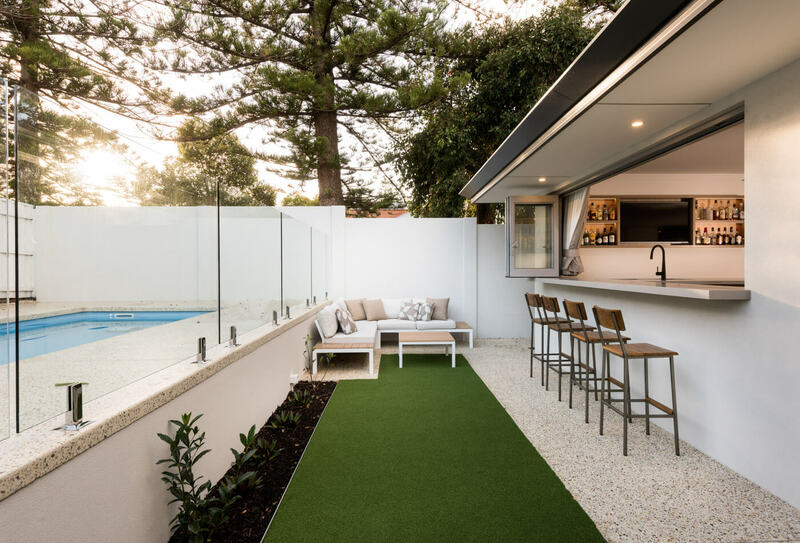 The owners wanted to be able to see the kids swimming while enjoying a drink at the bar, so we designed the pool area to be raised, allowing for a perfect view.